Some might say that it’s a myth that Jews were saved by Arabs/Muslims during world war one and two, but unfortunately for many people who would like to deny this these events have been documented by the western Zionist media itself. Between World war one and two Jews were the most hated and prosecuted race in all over Europe, They were the most vulnerable and targeted groups and had no safe place to refugee to however, with the strong support of Western governments to the Zionists and their organization that had strong influence in Great Britain and the United States, The plan to take over Palestine was already formed and the British mandate was the first step toward this. 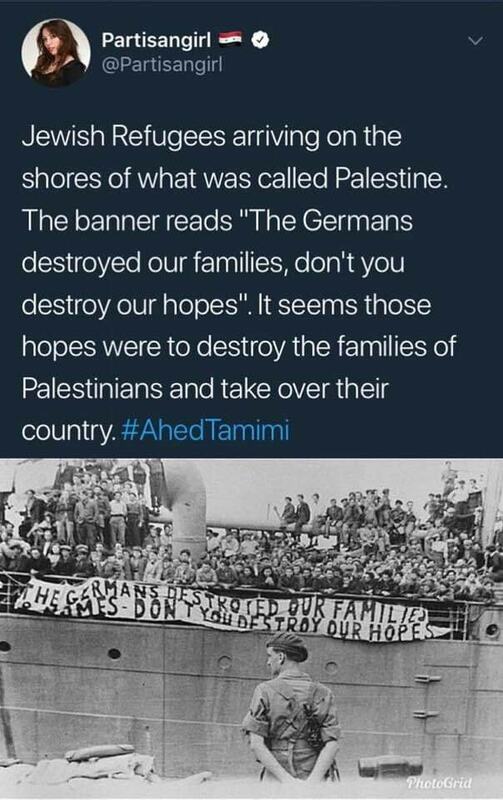 The Jewish refugees came from Europe seeking sympathy and support from Arabs knowing that Jews, Muslims and Christians already live together and in peace without any prosecution, oppression or racism, the Jewish Europeans found this as a great chance to infiltrate Palestine, purchasing great deal of land from the original inhabitants of the land, Palestinians were simple minded and didn’t know about the great plan that was manufactured for them at that time.